On Tueday, February 12, 2019, 8.00 am to 9.30 am EST in New York City, NeurExo Sciences (NXS), LLC, a biopharmaceutical company and subsidiary of NeuroTrauma Sciences, LLC, will be hosting a teach-in event “Enriched Exosomes, a Novel Therapeutic Approach,” featuring leading exosome researcher, Michael Chopp, PhD, Vice Chairman, Department of Neurology and Scientific Director, Neurosciences Institute, Zoltan J. Kovacs Chair of Neuroscience Research at Henry Ford Health System (HFHS), Detroit, and Distinguished Professor of Physics, Oakland University (MI). The teach-in will take place at the New York Marriott Marquis, Manhattan Ballroom, 8th floor, 1535 Broadway, New York 10036, with breakfast opening at 7.30 am. This event is intended for institutional investors, sell-side analysts, investment bankers, and business development professionals. Please RSVP in advance if you are interested in attending, as space is limited. You may RSVP with Susan Pietropaolo at 201-923-2049 (susan@smpcommunications/20190212). The teach-in will also be webcast (http://media.rampard.com/20190212) and registration for the webcast is now open. The live webcast and replay will be available through the link above or at the NeuroTrauma Sciences website, www.neurotraumasciences.com. Dr. Chopp's presentation will provide a primer and overview of exosomes, small extracellular vesicles that provide a means of mediating intercellular communication. He will also focus on his team's pioneering technology employing exosomes engineered with enriched microRNA for the purpose of treating neurological disease and injury, including stroke and traumatic brain injury (TBI). Dr. Chopp and his research team have generated proof-of-principle data in small and large animal models showing that exosomes can amplify the neurologic restorative mechanisms and improve long-term neurologic outcomes following brain injury, such as stroke, TBI, and neurodegenerative diseases. Links link to Chopp Lab research can be found here (https://www.ncbi.nlm.nih.gov/pubmed?Db=pubmed&Cmd=DetailsSearch&Term=Cho...). Dr. Chopp is dedicated to translational research in neuroscience, and he and his group are recognized as foremost authorities on exosomes and microRNA for treatment of neurological injury and disease. The focus of the laboratory is the pathophysiology of stroke and TBI; mechanisms of neuroprotection, cell-based and pharmacological neurorestorative therapies for stroke, TBI, and neurodegenerative disease. Dr. Chopp has approximately 750 peer-reviewed publications and has received numerous prestigious research awards. His laboratory, comprising ~70 researchers and staff, is one of the leading research centers in the world in translational neuroscience and restorative neurology and was the first lab to use mesenchymal stem cells (MSCs) among other cells, as well as exosomes derived from MSCs and other cell sources, to treat stroke, TBI, and neurodegenerative diseases. His lab has been awarded more than $80 million in total funding and has 19 active NIH grants. 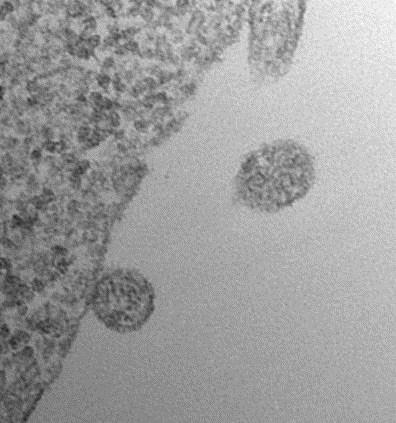 Exosomes are small extracellular vesicles that transport DNA, RNAs, lipids, and proteins between cells, allowing organs, tissues, and cells to communicate with one another, and exosomes elicit specific biological responses based on their transferred cargo. MicroRNAs transported by exosomes regulate gene translation and play primary roles in mediating a vast array of biological functions, including immunomodulation, and exosome transported microRNAs have the potential to enable multiple pathways of neurorestoration. NeurExo Sciences, LLC, (NXS) a privately-held biopharmaceutical company and subsidiary of NeuroTrauma Sciences, LLC, was formed in 2018 to advance Henry Ford's pioneering technology involving exosomes as extracellular vesicles enriched with microRNA for the purpose of treating stroke, TBI including concussion, and neurodegenerative diseases.NXS has worldwide commercial rights to product candidates resulting from the exosome and microRNA IP and sponsored research generated by the lab.